GAETANO FERRO ON CONNECTICUT DIVORCE IN 1990! In 1990 Carolyn Battista of "The New York" times discussed Divorce in Connecticut with Attorney Gaetano Ferro! Here we can see the seeds of today's divorce conflicts in yesterday's demands that people--women?-- "be reasonable." "CHANGES in society and in the law have brought changes in divorce, says Gaetano Ferro, a lawyer in Westport. Reasons for divorce as well as settlements and child-custody arrangements are changing, he said, yet many people are still dissatisfied with the process of of dissolving a marriage. Courts in the state deal reasonably well with divorce, and couples can minimize its trauma, said Mr. Ferro, who wrote and published ''The Divorce Book, A Step-by-Step Guide to Separation or Divorce in Connecticut.'' 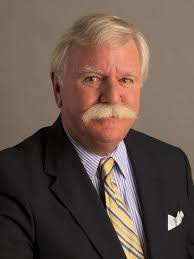 The Wilton resident is the chairman of the family-law section of the Connecticut Bar Association and a fellow of the American Academy of Matrimonial Lawyers..."
ANOTHER READER RESPONSE TO NEWS THAT THE FAMILY COMMISSION IS DISBANDING, GOING BEHIND CLOSED DOORS! There are lots of Munro stories. My favorite relates to her supposed oversight of Stamford attorney Gary Cohen's "community service." Cohen had been grieved by a former client for extorting $300,000 for himself and another $300,000 for the client's ex wife's lawyer. Miraculously, the grievance panel found that Cohen had engaged in unethical conduct. This case represents, to my knowledge, the only time any member of the Connecticut divorce bar has been sanctioned for any behavior whatsoever. Cohen was then required to perform something like 200 hours of "community service" pursuant to a subsequent settlement with the Statewide Grievance Committee. Munro was assigned to "oversee" Cohen's community service. However, Cohen wasn't up doing the required hours of community service. So Munro then gave Cohen credit for community service performed on his behalf by one of his associates, whom Cohen presumably paid. Thus, Munro unilaterally eliminated the Statewide Grievance Counsel's community service penalty. Munro subsequently retired from the bench and is now a partner at Pullman & Comley which just happened to be the law firm that represented Cohen in the grievance matter. To summarize: Cohen is actually found to have engaged in unethical conduct, Munro unilaterally commutes his community service sentence, and then Cohen's law firm pays back Munro by making her partner. Just another day at the office for corruption in Connecticut's family courts . . . .